Aside from comic book movies, Michael Bay's Transformers movies are probably the most popular line films that web-head movie fans like to speculate about. On the one hand, dissecting every frame of footage and making guesses about who is who and what is what is fun. On the other hand, it does create a lot of RUMORS that ultimately need to be sifted through. Comic Book Movie is spotlighting the latest rumor about Transfomers: Dark of the Moon, but I warn you up front that if wild rumoring gets you vexed, you might want to move on to another article. For those of you who want to hear the latest theory about which robot from the Transformers mythos is rumored to be featured in this third film, read on. The Titan-sized Autobot known as Omega Supreme is in Transformers: Dark of the Moon. Supreme is actually The Ark, the Autobot spaceship seen crash-landed on the moon in the Transformers 3 teaser trailer. Now, this Italian blog speculates (based on their reader's guestimate) that this is concept art for an Autobot who, in vehicle form, is the Ark ship seen crash-landed at the end of that Dark of the Moon trailer. In robot form, the speculation is that the Autobot will be Omega Supreme. If you don't know the name, the character of Omega Supreme has had several different roles/origins in the Transformers mythos, depending on which version of the comic books or cartoons you followed. The Italian reader/blog DO speculate that the version of Omega Supreme featured in Dark of the Moon would be the Generation 1 cartoon version, which I personally remember from the awesome Rocket Command Center toy I owned as a child. 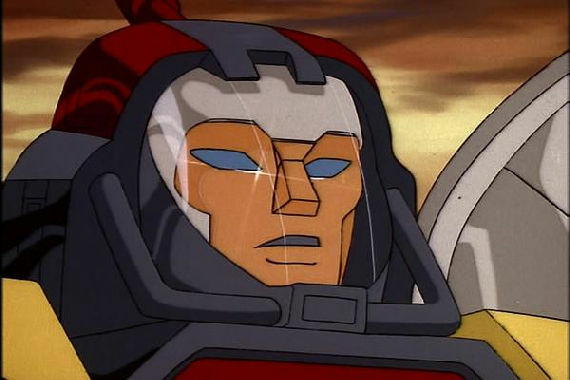 Interestingly enough, in the Transformers Animated mythos, Omega was an Autobot secret weapon who sacrificed himself to end the war between Autobots and Decepticons. He was badly damaged and so his mentor and friend, Ratchet, secretly put him into stasis mode by transforming his body into the spaceship that carried Optimus Prime and Co. to Earth, ultimately crash-landing into the mountainside. Later it was revealed that Omega Supreme was still functional and the Autobots re-activated him on Earth several times in order to thwart Megatron's scheme of depleting Earth's Energon - a scheme that involved using a space bridge to send Energon back to Decepticon henchman Shockwave on Cybertron. If you you've been following the news about Transformers: Dark of the Moon's storyline, you can obviously see where and how Omega Supreme would fit in. So, in the end this RUMOR is basically coming from totally random and unconfirmed "sources," but at the same time, it's not necessarily as wild and senseless as it would initially seem. 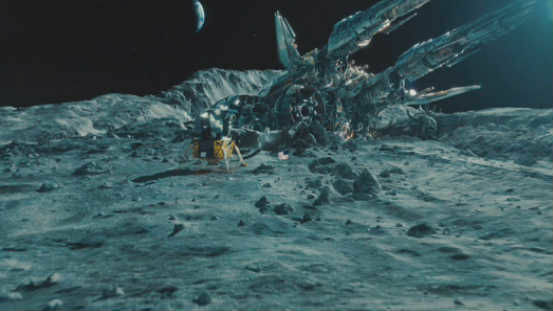 With the kind of 3D blockbuster tentpole that Transformers 3 is going to be, I wouldn't put it past Michael Bay to stage an epic lunar showdown involving the Autobots reactivating The Ark and having Omega Supreme transform and stomp the Decepticons into moon dust. I only hope that if the big guy is indeed in the film, he gets put to MUCH better use than Devastator was in Revenge of the Fallen. Would you like to see Omega Supreme as The Ark in Transformers 3? Transformers: Dark of the Moon hits theaters (IMAX & 3D) on July 1, 2011.